You make the audience think that they randomly selected card, but in reality, you already know what opens next for many possibilities. Also, you can perform several tricks from this pattern. With master card forces you have amazing opportunity and ability to perform tricks which apparently seem utterly impossible to a human eye. Therefore, we brought amazing tutorial in which you will get every needed card force here. 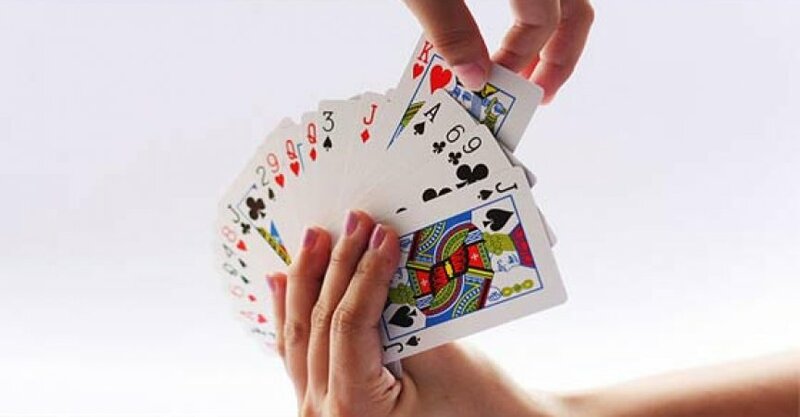 You can find more easy card force tricks which do not need great practice﻿ ﻿as these are pretty simple to perform. You will find this tutorial highly effective as it carries non-complex tricks that help you to sleight card efficiently. In case you are a beginner of forcing a card, then these will be the perfect start for all inexpert or new magicians. However, with the time you can incorporate several advanced forces tricks to these, but it is essential to learn these first. Now its time to learn by your self and astonish Audience. At the time when they say the word ‘stop’ by removing the top half, you have to slide the top card onto the cut deck, and you are all done. However, you need to be careful with some factors as it is easy to catch because it generality makes sling sound and thus it is pretty easy to spot. But also my friends you can learn uncatchable slip card trick, below you will find perfect card force. You will also notice that the easier it looks on the screen, the more difficult it is to master. The classic card force type which card magicians normally and often use in their shows due to the natural looking trick. However, it is almost impossible to catch through all viewing angles. Therefore, it is probably the most favorite card tricks for magicians. The only problem incorporates there is the possibility for error. Therefore you need to do good practice and try to be smooth if you need 100% accurate result. Do not bother as you only need to know the best way for a pinky break that is pretty easy. In case you do not meet accurate result in practice then do not use this trick, it is better not to try rather forcing the wrong card, and you will feel silly. This one is quite similar to the previous trick, but the only difference is, there is no risk of failure. Unlike the classic/typical card force may end up silly in case the trick could not go right and the magician will end up silly and funny. But this card trick does not cause any risk as you make viewers select the card which pre-selected by you. What is Advanced card force? The advanced card force is that card force trick that needed extra sleight of hand which is palming. However, you think palming is pretty easy but let me tell you it can destroy your trick if someone catches your card palming and imperfectness. Hence the advanced card force trick offers different versatilities to move on other tricks; simply it can be a broadway trick starter if you are a good learner. You will learn through this tutorial video also you can build upon the same card force and utilize creativity of your mind. Have a Look at what it Looks like and the way to do it in the video below. You can learn several useful and easy card forces mentioned above. Thus there is lot more variation with the trick you just learned, but the only thing you need to make sure card sleight and ensure you will do the perfect job. Do not bother about the advanced or flashy look of the trick remember sometimes the simple moves went the best. You can easily go through the trick and practice least one of them because every card magician should rely on one card force. After you have done good, you can easily jump to the next level of artistry and simply amaze your viewers.